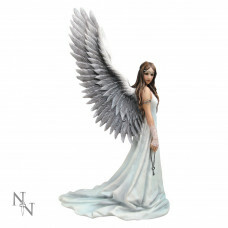 This enchanting angel figurine comes from the imagination of world-famous Gothic and Fantasy artist Anne Stokes. Standing tall, this chestnut-haired angel looks to her right, her long hair flowing over her shoulders past her metal diadem. Her right hand hangs down by her side, holding an iron key by a chain as her long white dress flows down and along the ground behind her. Long white wings stretch out, erupting from between her shoulders. 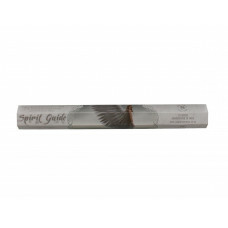 Cast in the finest resin before being lovingly hand-painted, this enchanting angel figurine is a fantastic gift for any who feel they need some guidance in their life. 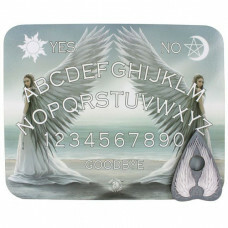 This stunning canvas features the Spirit Guide artwork by the amazing Anne Stokes.The canvas is 25x1..